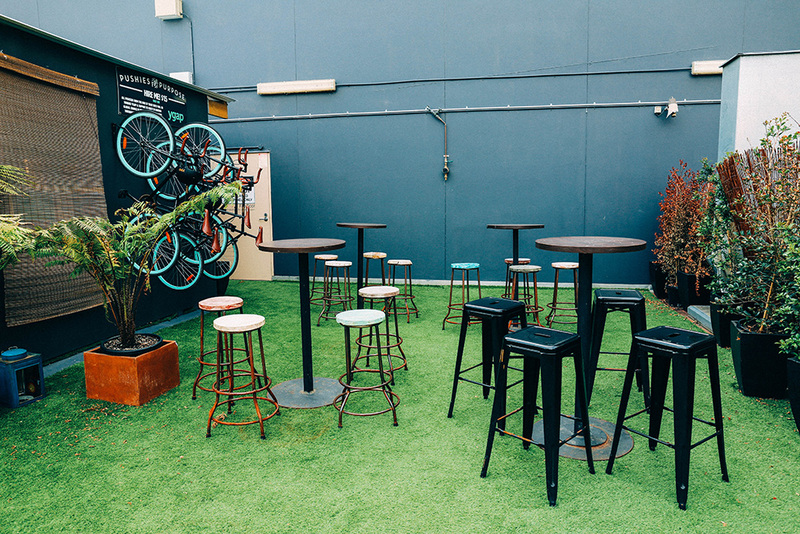 Laneway Festival (previously called St Jerome’s Laneway Festival) is one of the most-loved summer festivals in Australia – with a lineup this year including the likes of Grimes, Beach House, CHVRCHES, Japanese Wallpaper, Big Scary, Purity Ring, The Internet, Battles and more (I’m hyperventilating just thinking about it). 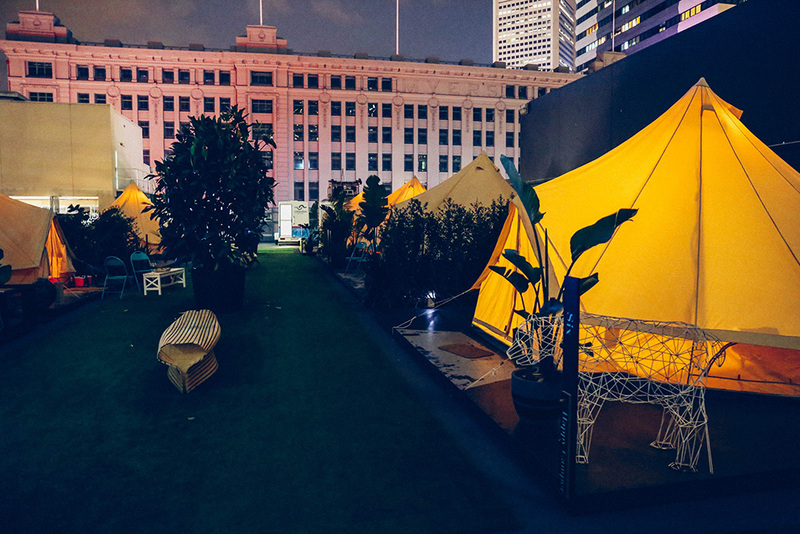 So there was no second guessing when it was announced that the founder, Jerome Borazio, had started a pop-up rooftop glamping hotel in Melbourne’s CBD, which conveniently has coincided with the David Bowie Is exhibition at the ACMI. 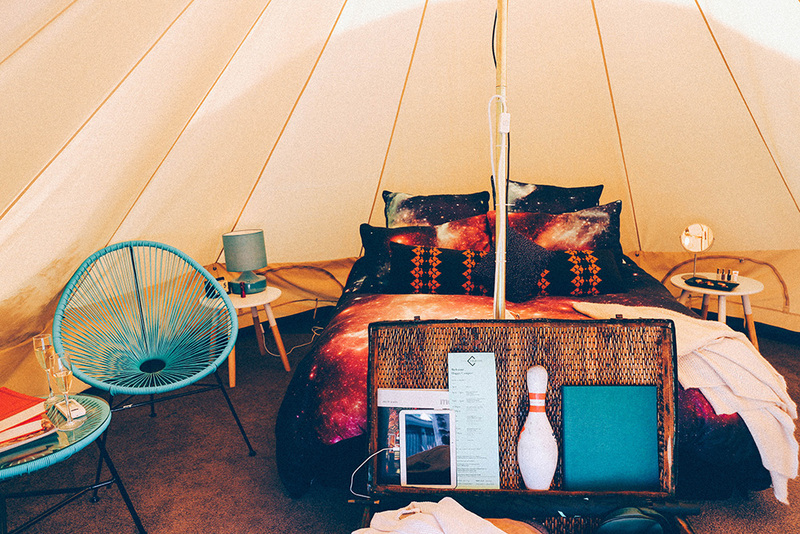 That’s right, David effing Bowie and a festival-themed glamping stay. 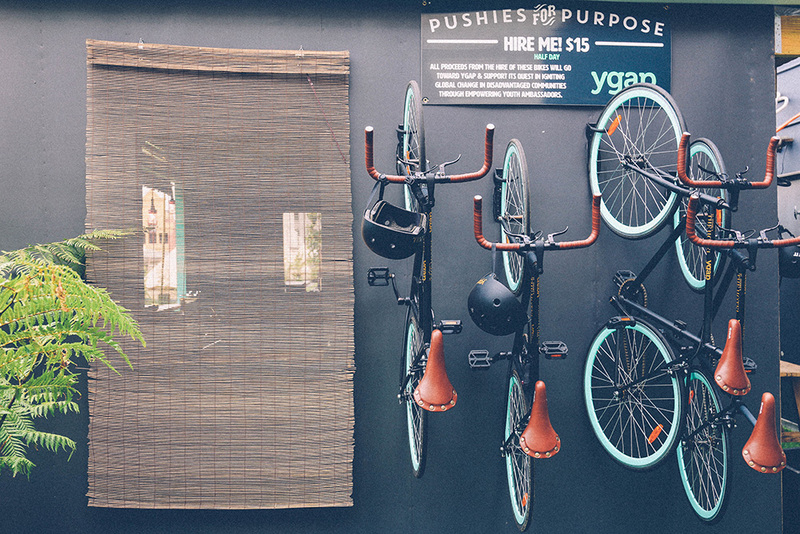 Hello, Melbourne. 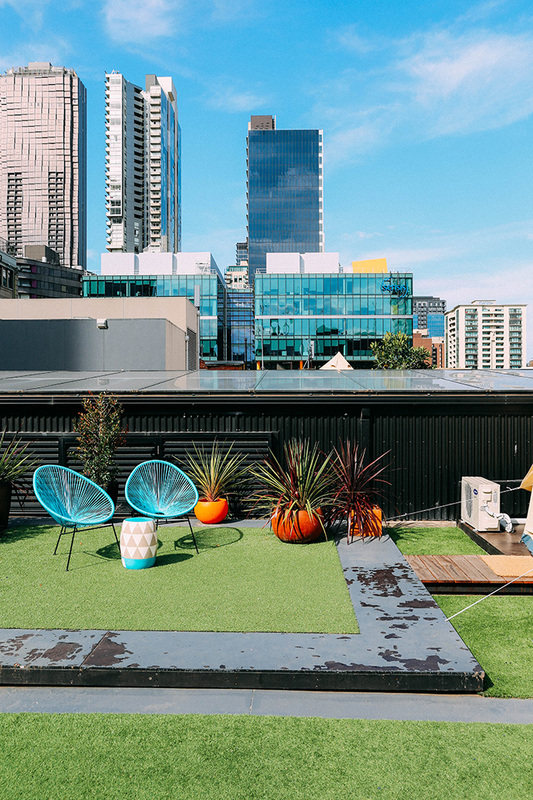 Although slightly tricky to find – the hotel is on level 3 of the Melbourne Central station and shopping complex – once you step onto the astro-turfed rooftop, surrounded by views of the skyline, you suddenly forget how you got there anyway. 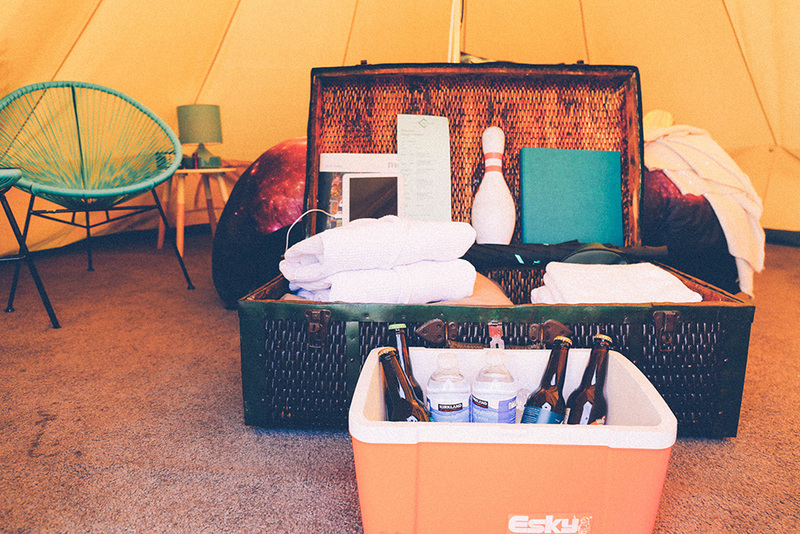 Our friendly concierge treated us with cupcakes on arrival as he explained what’s on offer, which is a lot of very cool extras, like free ten pin bowls at Strike Bowling next door, a stocked esky (including champagne which he kindly offered to pour as we stepped into our tent), a cocktail on the lawn between 5-7pm, a delivery of snack sliders from Grill’d to your tent in the evening, not to mention Messina ice-cream on request up until midnight. 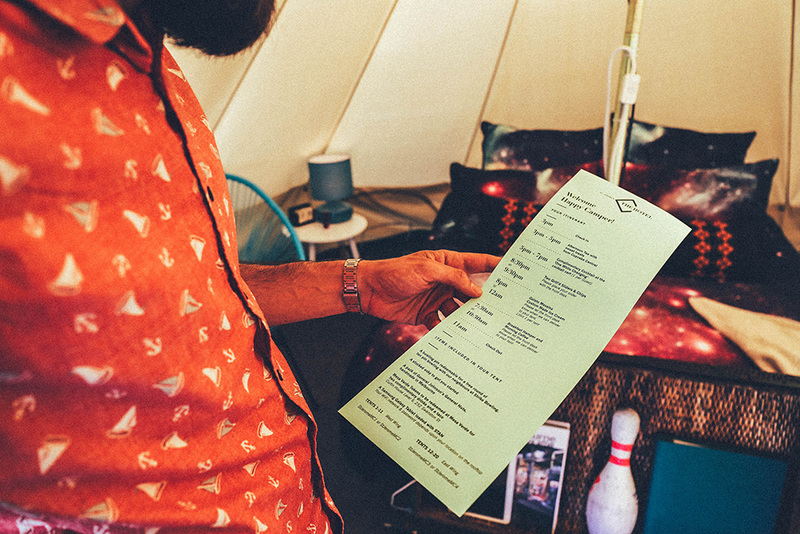 The tents themselves are canvas bell tents, and the interiors absolutely reflect the hipster festival vibe that you would expect. 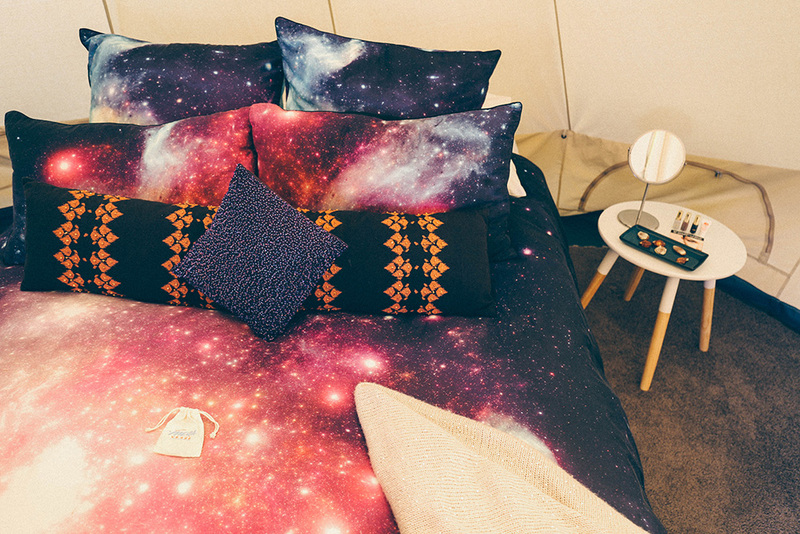 Our bed was covered in a galactic bedspread with luxurious pillows – even three nail polish colours on the bedside table to match! 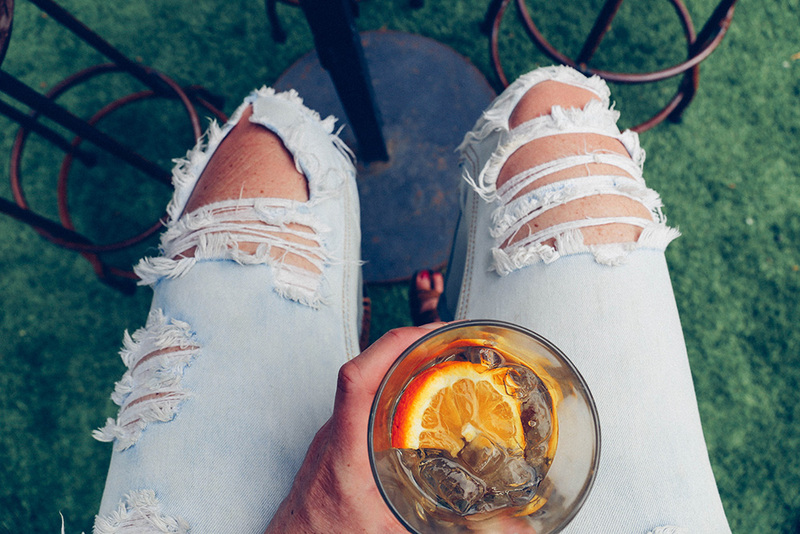 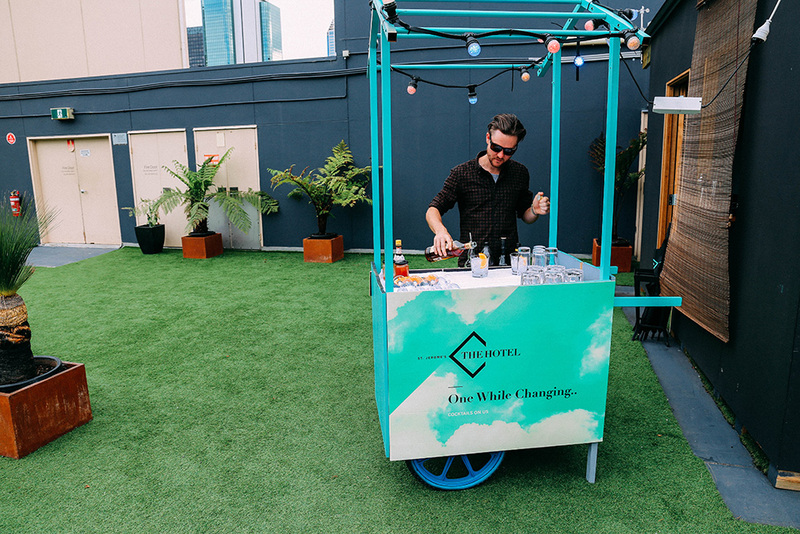 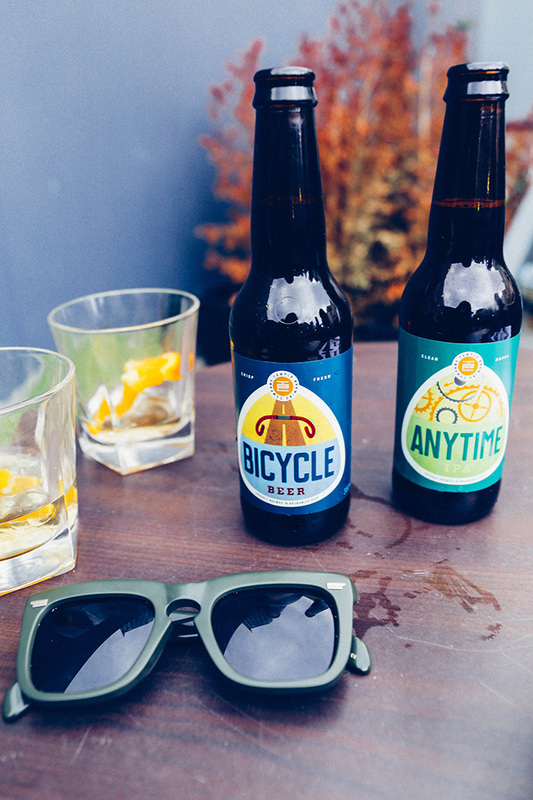 Cocktails were served out of a makeshift St Jerome’s cart, and were enjoyed in a bar setting next to the General Store, which has fixie bikes – available to hire for guests – hanging from its side. 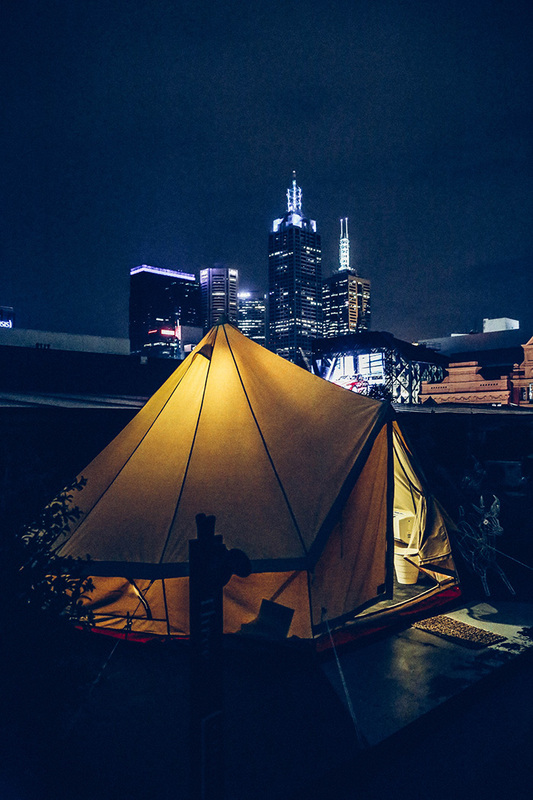 As the sun went down, the tents lit up against the Melbourne skyline – we changed into our robes, ordered Messina, and drifted off to sleep in our comfy bed. 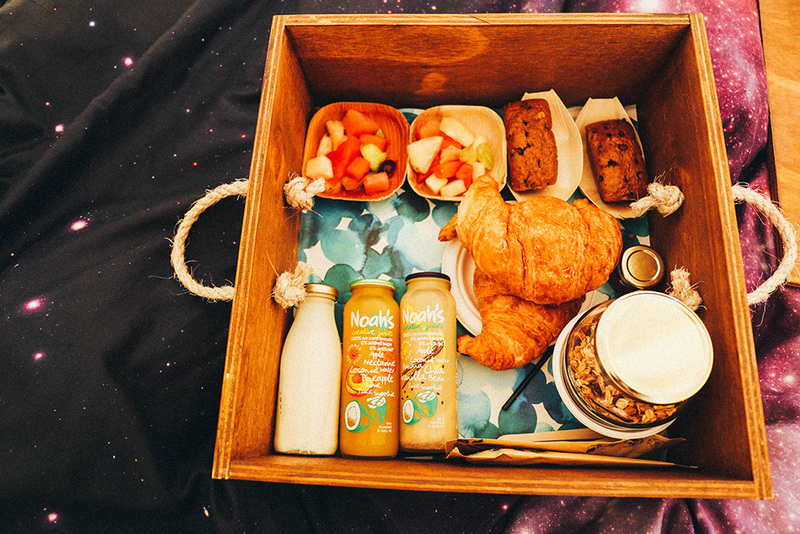 In the morning a brekky box of treats arrived, with croissants, muesli, fresh fruit and a mini choc-chip banana loaf – all delicious. 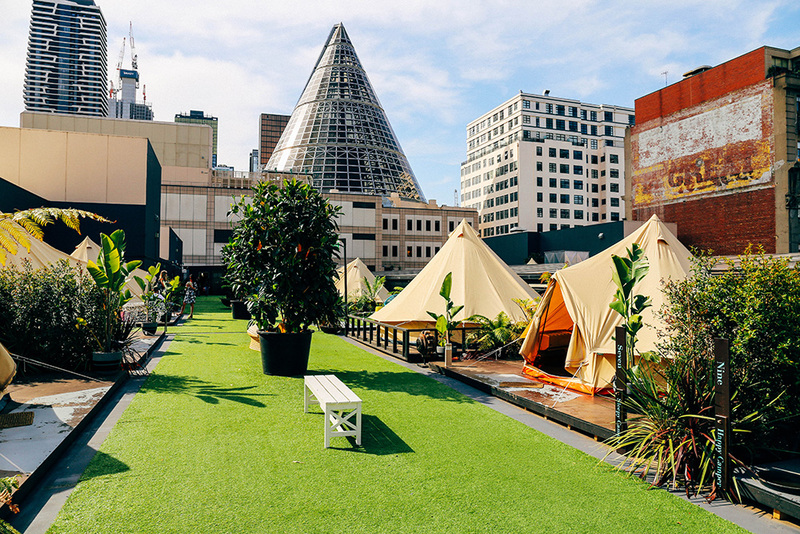 A stay at St Jerome’s The Hotel is one of the most unique glamping experiences you’ll get – and good news is it is coming to Hobart and Auckland soon. 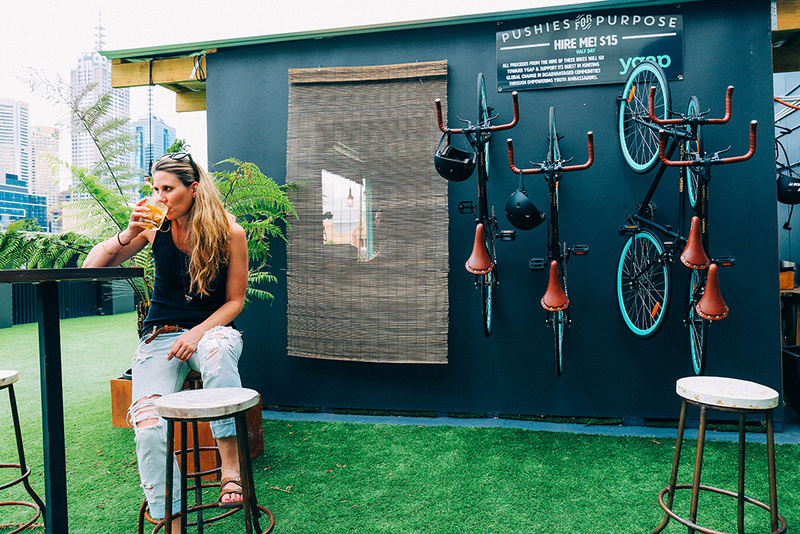 TIP – you can get the cheapest rate around by booking through Qantas, who have a special deal. 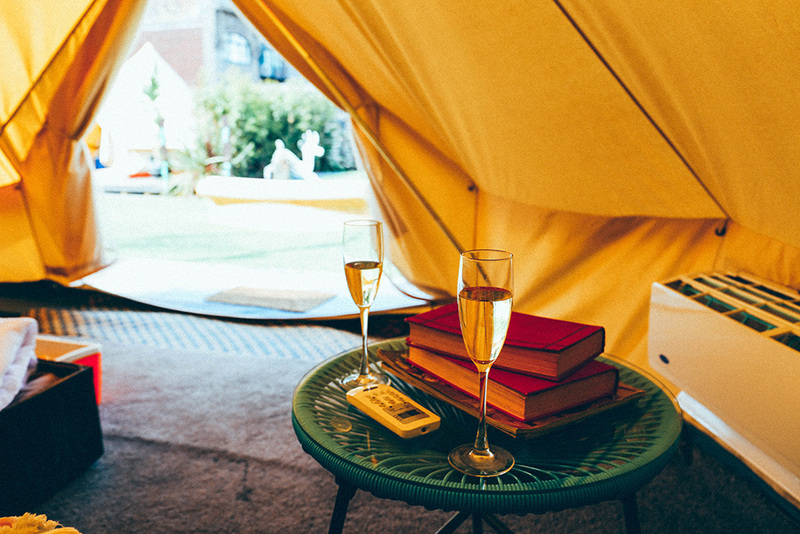 While not necessarily a cheap stay (it is luxury camping after all! 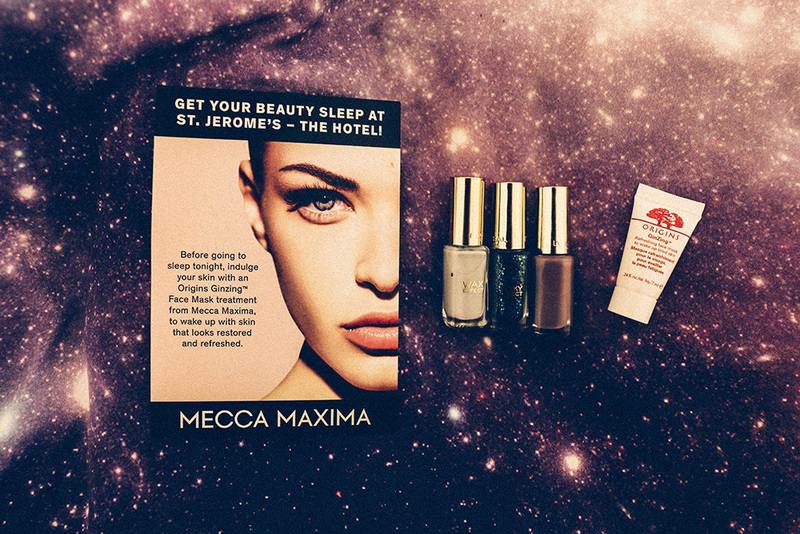 ), the five-star service and all the added extras make it great value in the end.